Happy New Year! 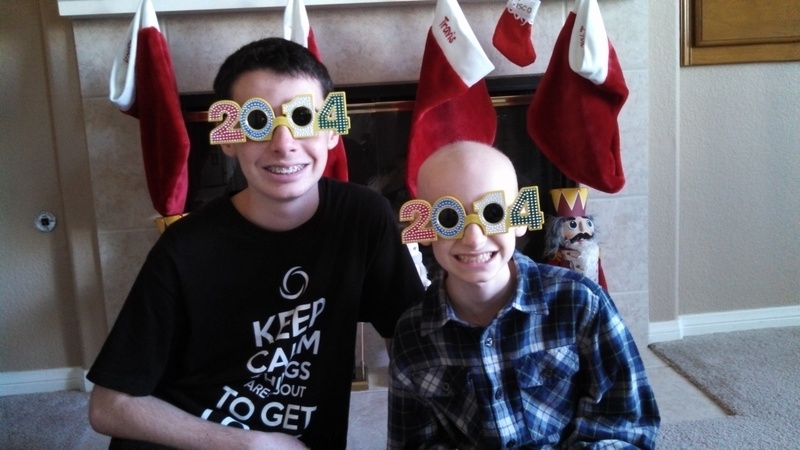 1/2/2014 | Travis the Warrior --- Kickin' Cancer! Happy New Year everyone!!! It is hard to believe it is 2014 already but we are glad that we are putting 2013 in our rear view mirror. It has been a challenging yet amazing year in so many ways. We have faced so many obstacles, especially Travis, but we tried to take them one at a time and just find a way to keep going while also looking for the Silver Linings. Travis had surgery on Monday to have his porta-cath removed. Yeah! He had it installed on 3/22, which turned out to mark the beginning of his cancer treatment after surgery. So, to have it removed on 12/30 to mark the end of his treatment was a great way to finish out the year. Unbelievable! With the inflammation that had formed around his port area over the last several months (almost like a big blister), we were lucky that it lasted through the final chemo treatment. In fact, his final chemo boost a couple of weeks ago was done through an IV since they didn’t want to risk going through his port. With the skin around that area very fragile, it is a bit sore as he recovers from the surgery. But again, we take it one step at a time and battle on, like a Warrior. Hopefully we will be through this part of his recovery soon. 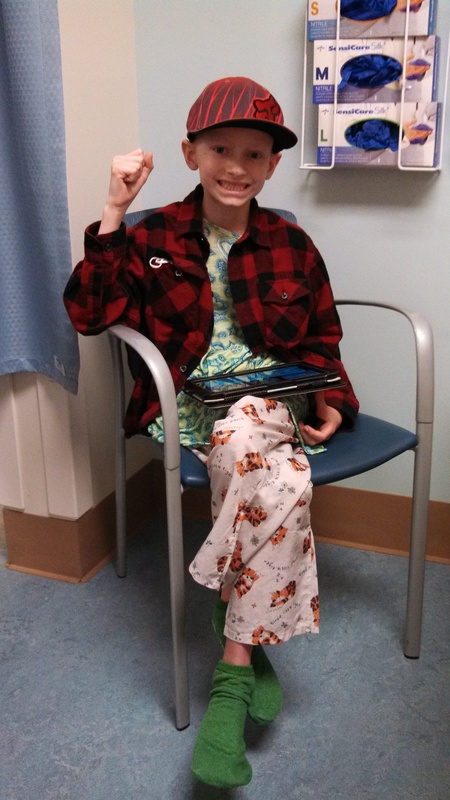 We have an appointment today with our neuro-oncologist to go over the latest test results and discuss the testing plan for the future with MRIs, lumbar puncture, etc. Then on Monday, we meet with our vascular surgeon so he can examine the port area wound to make sure it is healing properly. With the skin so fragile there, if the wound doesn’t stay closed, it may require a skin graft but we are praying things heal on their own. Here is to a Healthy, Happy, Prosperous and Love-Filled 2014…Happy New Year! Hoping this finds all of you well. Praying that Travis’ port is healing and no skin graphs required. Sending good thoughts and many prayers your way. P.S. Tell your amazing family that we think they’re pretty amazing too!! happy, and healthy new year. Out with 2013. Now, on with 2014 and A BIGGER, BETTER, STRONGER, FASTER WARRIOR. Could not have done it without the support of his soldiers. So, to those soldiers I say “Thank you from the bottom of my heart”, Mission accomplished. I hope 2014 brings you lots of good things”.